As a sole trader, you will pay income tax and Class 4 NICs on your trading or professional profits. This applies whether or not the profits are withdrawn from the business, and there is no further tax to pay when the profits are withdrawn. The profits are “relevant earnings”, so you can pay a percentage of them into personal pension plans with full tax relief. If your spouse works in the business, you can pay them at a level appropriate to the work they do. Alternatively, they can be made a partner in the business, with a share of the profits if they are actually engaged in the conduct of the business. In this way, the profits can be split between the couple. As a sole trader, if you use a car for business purposes, you can claim capital allowances on the cost of the car and the running expenses. Both will be restricted to the proportion that business mileage of the car bears to total mileage. Many businesses are, at least in part, carried on at home. It should be possible to claim a deduction for some of the domestic costs such as electricity, gas, and insurance. It is important to ensure that a claim for a deduction does not adversely affect the private residence exemption. As long as a part of the property is not used exclusively for business purpose then that should not be a problem. It is also important to consider whether the use would have the effect of requiring business rates to be paid. If you make a loss in your trade or profession, that loss can be set off against other income in the current tax year or the preceding year. Losses sustained in the early years of a new business can be carried back to the three tax years preceding the year in which the business commenced. So you can obtain a tax refund. If your business is carried on by a company, then you will be an employee and shareholder of the company. The company’s profits are chargeable to corporation tax, but in computing those profits, your remuneration may be deducted. The wage you pay yourself is relevant earnings for pensions planning purposes. As a director, you may take out a personal pension scheme or set up an occupational pension scheme. With the introduction of the national minimum wage, the Inland Revenue may argue that a dividend should be characterised as remuneration. That would result in the need to operate PAYE. The company may provide you with a car and claim capital allowances for the cost of the car and the running costs, but you would be liable to income tax under the fringe benefits legislation. Where any form of loan or advance is made by the company to a shareholder or member of the shareholder’s family, then the company has to account for tax at 25% of the amount advanced and not repaid within 9 months of the end of the accounting period. That tax is repaid if the advance is written off. If the advance is written off then the individual is taxed on the sum written off as a dividend. If the business sustains a loss, that loss is trapped inside the company. It may be set off against profits of the preceding accounting period. 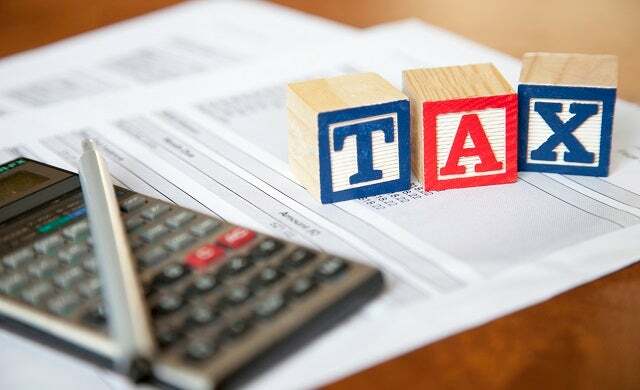 But the situation may arise where you have to pay income tax on your remuneration, while the company has losses which can only be carried forward. It is possible for a business to start as a sole tradership or partnership and for that business to be transferred to a company at a later stage. That should be considered where losses are foreseen in the early stages. Any losses not relieved against your other income, or against trading profits of a subsequent year, can be carried forward and set off against income from the company to which the business is transferred, such as remuneration or dividends. Gains arising on the transfer of assets to the company can be rolled over, and there need not be any balancing charges under the capital allowances legislation. On the other hand, there are no special reliefs on disincorporation. Therefore, there can be tax penalties if a business which was set up in a company is transferred out of the company to individuals. If you make a loss in your trade or profession, that loss can be set off against other income in the current tax year or the preceding year.